Successfully Added One DIN Universal Car DVD Player - 7 Inch Touch Screen, Detachable Display, GPS, Bluetooth, DVD, Android OS, Quad-Core CPU, WiFi to your Shopping Cart. 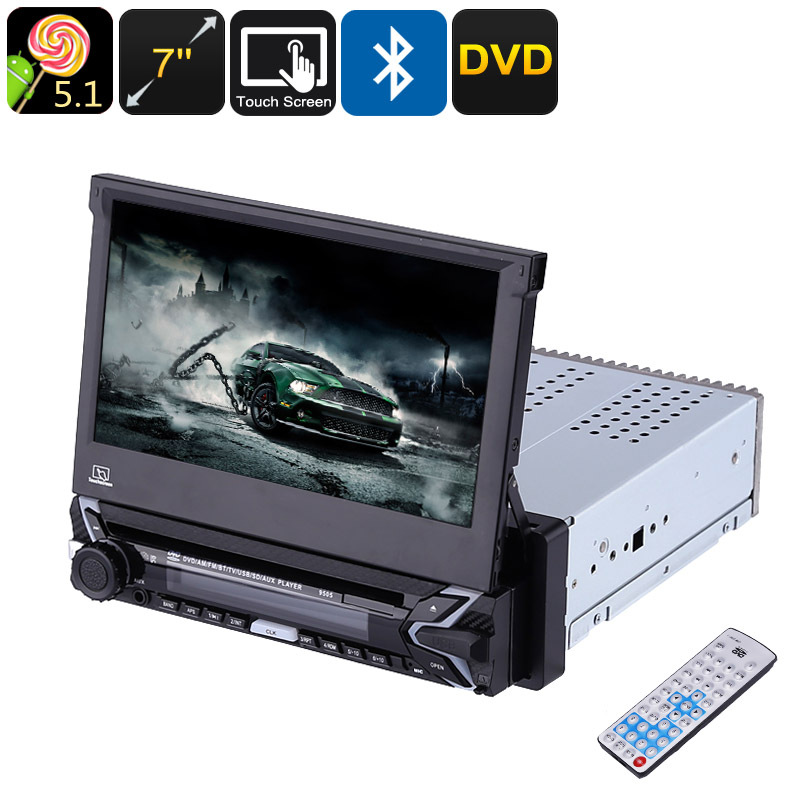 Bring hours’ worth of entertainment into your vehicle with this 1 DIN car DVD player. With its region free DVD player, this car accessory is capable of playing all the discs out there. Therefore, you’ll always be able to purchase new DVDs while traveling abroad and play them for your kids in the back seat. From now on, your children and other passengers will never have to feel bored again while riding along in your car. On the 7-Inch display of this Android media player, they will be able to enjoy their favorite movies, series, and more. Thanks to its 1024x600p resolution, you’ll be treated to crisp visuals at any time. This fully lets you and your passengers enjoy a vivid media experience on the go. The 7-Inch display of this car media player can be detached from its base. Additionally, it features a 0 to 90-degree rotation angle. Therefore, anybody in your car can enjoy a great viewing angle no matter where they are seated. Besides playing DVDs, this Android media player for in your car also lets you enjoy Apps and games. Thanks to its Android 5.1 operating system, you’ll be able to download all your favorite media straight through the App Store. With its Quad-Core processor, this 1 DIN car stereo is capable of tackling all the basic software features out there. By supporting a 20-channel GPS navigation system, this car media player will lead you the way to all your upcoming destinations. Simply throw in the required map via your SD card, and you’ll be treated with a detailed 3D map that shows local traffic information and the fastest route to where you’re headed. Thanks to this cool feature, you’ll be able to head out with confidence as, from now on, you’ll never get lost again.